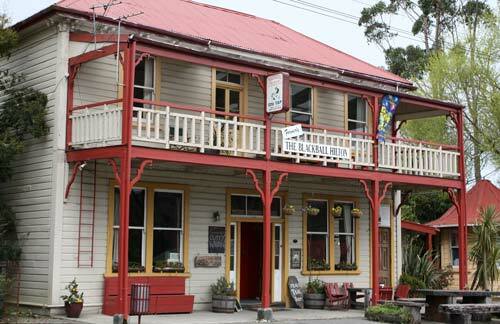 This traditional two-storey hotel in Blackball has had many changes of owner since it was built in the early 1900s. In the 1990s it was renamed the Blackball Hilton, but after protests from an overseas hotel chain this was changed to ‘Formerly the Blackball Hilton’. There is, in fact, good justification for the name as it is opposite Hilton Street, named after one of the directors of the Blackball Coal Company.